If asked, most dog owners would say that their pets exhibit emotions. Happy, excited, angry, sad—you name it. But are these emotions genuine, or are they simply humans projecting onto our pets? When it comes to whether or not a dog can feel sadness, the answer is both yes and no, says Dr. Carlo Siracusa, clinical assistant professor of behavior medicine at the University of Pennsylvania School of Veterinary Medicine in Philadelphia. That doesn’t mean, however, that dogs don’t experience negative emotions. Dr. Daniel Inman, a veterinarian at Burlington Emergency Veterinary Specialists in Williston, Vermont, says that depression in dogs is often caused by changes in their environment. “Some dogs are much more sensitive to change than others, and certain variables can affect dogs differently, but overall, dramatic changes in a dog’s life can certainly lead to depression,” he says. Dramatic changes may encompass a move, the loss of a companion (canine or other), a new baby or pet, or change in routine. “We often think about loss as a trigger for depression, but actually any change in environment can set it off,” Inman says. There are many signs that could indicate that a dog is experiencing depression. 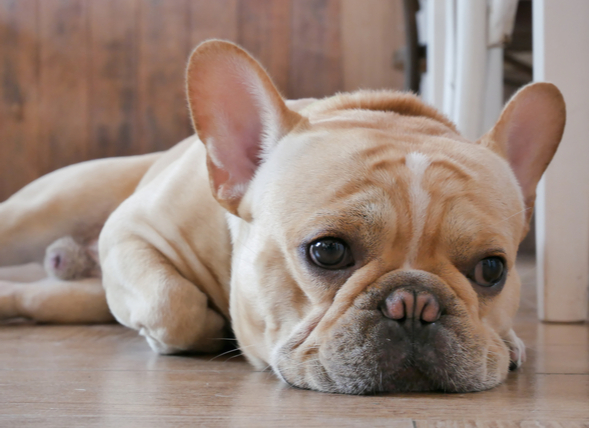 A depressed dog may stop eating and drinking, become lethargic and withdrawn, or their depression can manifest as anxiety, and the dog may become destructive. A depressed dog might also become aggressive, Inman says. Unfortunately, many owners don’t even realize that their dogs are exhibiting signs depression because it might only happen when the owner isn’t around, Siracusa says. If a dog is acting depressed all the time, there are some steps her owner can take to improve her mood. First and foremost, give the dog some extra attention. As with humans, exercise is also a good remedy for signs of depression. Inman recommends going on longer walks and having extended playtime with a dog who seems depressed. In addition, Siracusa adds that giving your dog a space where she feels protected and safe is key. If these hands-on solutions aren’t working, Inman says that you can talk to your veterinarian about anti-depression and anti-anxiety medications. “I usually don’t prescribe medication, but in extreme cases, it can be helpful,” he says.